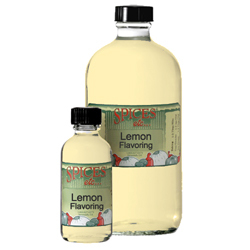 Lemon Natural Flavoring | Natural Flavorings | Spices Etc. We have tried many, quite many of the Spices, etc. natural flavorings over the years. This one is superb like the rest. We are glad to have it. Wonderful lemon flavor. Not overpowering, but balanced. 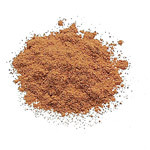 We have used it in lemon cakes, lemon bars, lemon icing, lemon pies, lemon ice cream, lemon custard, and are still using it this day, along with other Spices, etc. flavorings. A great selection, and great quality, great people and great service. You cannot beat this! Strong, bright, pure flavor, not fake tasting. I always receive products very shortly after I order them. I also appreciated the bottle of lemon flavoring that was replaced from an earlier shipment. Thank you. The lemon flavoring is one of our favorites. As with all other of Spices, etc. natural flavorings, this is one which is far better than the flavorings and extracts you can purchase at your local store and yet not over priced. 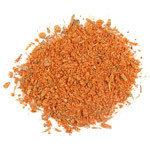 As excellent as this flavoring and all the other products are, it all pales to the superior service of the Spices, etc. family! I am a professional baker and these flavorings are just splendid in enhancing flavor and adding that "pop" factor to baked goods. I highly recommend these natural flavorings. A must in pound cakes. Good lemony flavor. 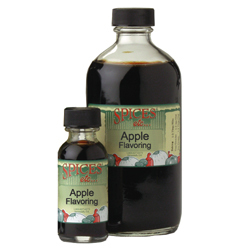 Apple Flavoring - 16 oz.